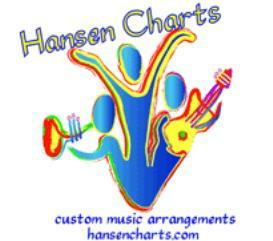 Buy and Download > Description Part of the Hansen Charts Gospel Big Band Series this audio track is arranged for 2 alto saxes; 2 tenor saxes; 1 baritone sax; 4 trumpets; 3 trombones; Piano/Lead with chords for rhythm section. This is a great simple head improvisational piece. This means that the melody is played by the instruments and then instrumentalists can solo on the melody progressions. Then at the end all return for one last time through the melody. This is a great piece for younger players and more inexperienced players to try their hand at improvisation.